Lonely Planet’s East Africa is your passport to the most relevant, up-to-date advice on what to see and skip, and what hidden discoveries await you. Feel the pounding of hooves as wildebeest stampede across the plains of the... read more Serengeti; get close to gorillas in Volcanoes National Park, Rwanda; and hike on the slopes of Mt Kilimanjaro. All with your trusted travel companion. Get to the heart of East Africa and begin your journey now! 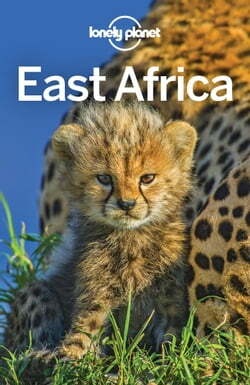 The Perfect Choice: Lonely Planet’s East Africa is our most comprehensive guide to the region, and is perfect for discovering both popular and offbeat experiences. Looking for more extensive coverage? Check out Lonely Planet’s Kenya and Tanzania guides for a comprehensive look at all these countries have to offer.